With the news that our UK copyright libraries are to start preserving copies of websites, the topic of archiving digital assets has been in focus. I've blogged on a similar topic before, when writing about the gaps in the BBC's web history, the oldest surviving scraps of the 90's BBC Online, and the fact that you can't exhibit code. In discussion with some friends the other week, we got round to talking about how to preserve games. It struck me that it was getting increasingly harder to record the experience. A screenshot and short description of the action would give you a pretty comprehensive overview of Pong or Space Invaders. 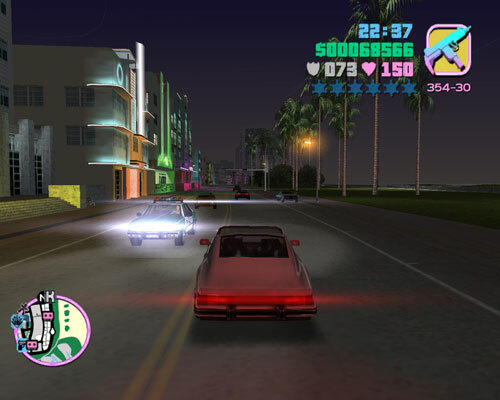 How, though, do you convey the immersive narrative and retain the pop culture references of "Grand Theft Auto: Vice City" for future generations? That may not seem important when we have a wealth of games to study. However, there are areas of cultural history where just one work survives. 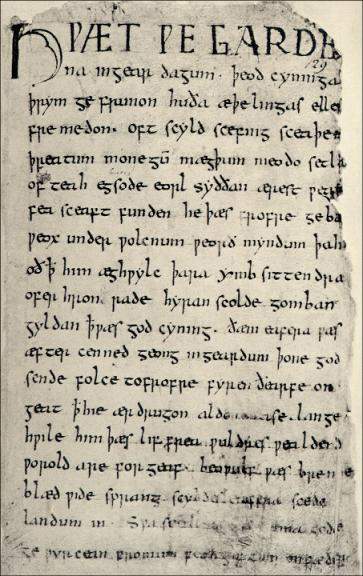 Through a lack of anything much to compare it with, Beowulf, for example, has come to signify the art and culture not just of the society that wrote it, but the society it depicts. How can we be sure it is representative of the art of the time? We'd get very different historical views of the experience of digital games in late 20th and 21st century society depending on whether the only one that survived was Call Of Duty or Pac-Man. I feel much the same about an archive of news websites. Whilst it is obviously possible to preserve the article text and screenshots of pages, so much of the experience will be impossible to capture completely - the way that the breaking news ticker rendered, the experience of leaving a comment, registering for a site or watching live blog coverage of cricket or football unfold will most likely remain lost. Maybe I'm worrying unduly though, and digital preservation techniques for both the web and games will improve, bringing the whole experience to life. After all, if you'd explained to me back in 1983 that in 2010 I'd still be able to play Manic Miner by using the Internet on my laptop, I'm not sure which element of that would have phased me more. By Martin Belam on 22 January 2010. I think I would have expressed excitement that Prestel was going to get fast enough for me to play Manic Miner over my 1200 baud modem. I'd rather be playing pac man or the like then any of these modern ultra fast, and life like games. It was from the time Operation Wolf came out was when things started to get 'modern'. As for preservation its going to be more finer then preservation of human bones from 200 years ago, I suppose thats progress! And we should definitely save all the different cell phone chargers. In fifteen years there will be people to make fun of us that we had several chargers... one for everyone. I think remakes and emulators are a good approach to game preservation, as they continue to be playable. In these days of adsl connections then it is intersting to know that NASA uses 9600 baud modems in their satelittes and cars they send to Mars. The reason? 9600 baud modems are so well-tested that they are much more stable than newer technology so they are much more reliable. Yes, Emulators are the best way to preserve games - but then again - why would anyone want to play Pacman or Donkey Kong in 20 years time? Just look at the sound of old games - it doesn't sound cool since technology has moved on. Although I see the point you are making, times change and people move on. I am one of those blokes who went out and bought a Mega Drive when they started to appear in the second hand shops. I am sad to say that Sonic was never the same. Id much rather sit down to a good game of Forza 3. Sorry!